Burn some calories on your way to a delicious gourmet feast at the Magic Meadows Yurt. This is a memorable experience for both adults and children to enjoy. Doors open at 6 p.m. and dinner is served at 6:30 p.m. The cost is $135 for adults and $85 for children (under 18) and includes a trail pass and equipment rental. The trail to the yurt is about a mile and is mostly level with a few rolling hills, taking about 30 minutes for most skiers. If you’re new to skiing, we suggest snowshoeing out there. 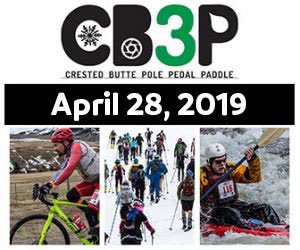 Convene at the Crested Butte Nordic Center at 5:00pm. All the intersections on the trail to the yurt are lit with tiki torches so route finding is easier. We do recommend all guests bring a headlamp or flashlight. Feel free to stop by the Crested Butte Nordic Center ahead of time to pick up a map. Reservations must be made 48 hours in advance, online only. Click here for the full dinner menu, yurt dinner calendar and to make your reservation. 4:30PM – If you need rental equipment please come to the Nordic Center (620 Second Street-at the corner of Second and Whiterock) early to get fitted with your gear. 5:00PM – Convene at the Nordic Center to meet your guides and carpool to the trail head, unless you plan on skiing out on your own. 5:20PM – Ski out to the yurt with your guides. 6:00PM – The doors of the yurt open for cocktails and a mouthwatering appetizer. 6:30PM – Dinner service begins. It is a casual affair usually lasting at least a couple of hours. 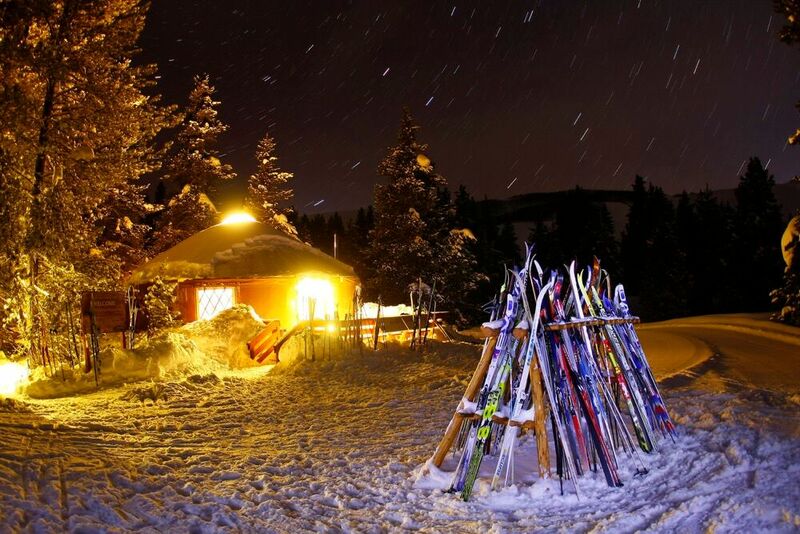 Later that evening – Ski back beneath the twinkling stars with a full stomach and a happy spirit. At the trail-head you will return gear to the van parked at the trail head and make your way home! $135 per person. Includes: trail passes, equipment rentals, transportation, guides, a five course dinner, live music, libations, and gratuity.